The problem with Kidd’s logic is that it rests on the assumption that ideas don’t evolve. 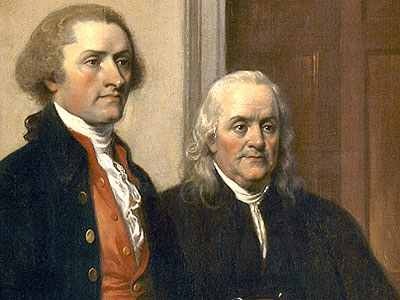 If we are comparing the beliefs of these founders with those of today, he is probably correct that their beliefs would line up best with “liberal mainline Christians.” But if we are referring to descendants of ideas we do not mean that they are the same ideas, instead we mean ideas that have evolved out of a particular idea or tradition. And in this sense modern atheists are certainly the descendants of Deists. The rationalist and skeptical nature of Deism eventually led to the emergence of the atheist movement. If the eighteenth-century Deists were alive today they would likely be atheists. They were unable to explain the complexity of life with the evidence that they had at the time, but today they would have access to the accumulation of a wealth of evidence that explains the complexity of life without the need of a deity thanks to Darwin. So, why would Kidd want to emphasis the theism of these founders? Because Kidd wants to enlist them in his project of establishing a public religion (see God of Liberty: A Religious History of the American Revolution). In order to turn Jefferson and other important founder into defenders of a public religion, Kidd has relied on a few events that these founders undertook that seem contrary to a strict separation of church and state. However, when they are put in the proper context they are better explained as political maneuvering. A more detailed examination of these arguments will have to wait until I have more time. History News Network | What Is Deism?.